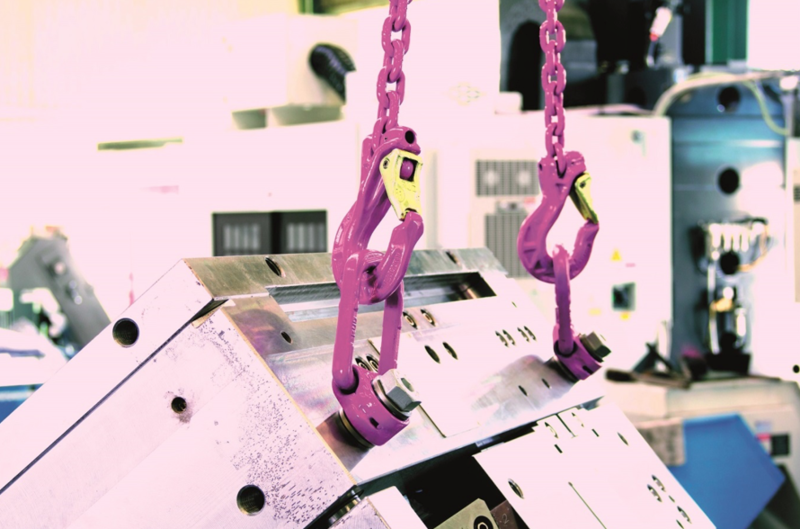 RUD Chains is a leading manufacturer of lifting and lashing equipment that helps guarantee ultimate safety when lifting and handling heavy loads. Their diverse product range offers over 600 lifting and lashing points for bolting and welding covering a working load capacity range from 0.6-250 tonnes. The demand for loads to swivel and pivot safely during the handling process of a project is essential. Loads can easily be damaged and lifting systems can be considerably overloaded. Mould and die manufacturers are prime examples of this, when moulds or dies need to be flipped and handled the lifting points they use need to swivel and pivot at the same time. The direction of the pull when undertaking heavy lifts that need to swivel and rotate can have a major impact on the working load limit of the standard eyebolt, which can create a safety breach. 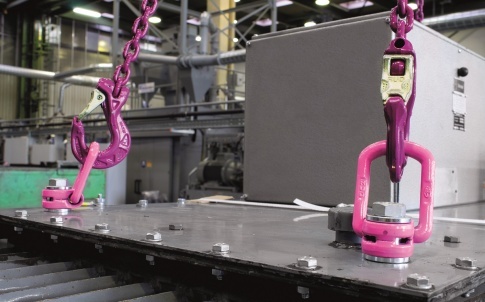 RUD lifting equipment is often used for the handling of heavy plant and injection moulding tools due to the fact that a selection of their lifting points can safely lift, swivel and pivot items under full loads. RUD’s lifting points adjust to the direction of the pull to allow full engagement of the bolt, resulting in a safe lift. RUD’s ICE-LBG SR Super Rotation Load Ring offers the ultimate solution for lifting, turning & flipping at high working loads. It rotates 360° in all directions under load with an innovative ball bearing technology which offers a smooth rotation. The double ball bearing technology means that lifting, turning or rotating under full loads, vertically or horizontally can now be done safely without any chance of the bolt opening mid lift. The ICE-LBG SR therefore offers an ultimate safety factor to the user and the equipment being handled. The Starpoint VRS is another example of RUD’s lifting equipment which is ideally suited to handling of plant and injection moulding tools. It has been designed to adjust to the direction of the pull and rotates 360°, meaning the working load limit is therefore always at the direction of the load. The Starpoint removes the chance of bent eyes, backed out threads, or over-tightening which would cause unnecessary stress on the stem. The PowerPoint Star is an extremely robust lifting point which has the ability to pivot 230° and rotate 360° which allows the lifting and turning of goods to run safely and smoothly, as well as reducing costs to potentially damaged tools. The forged safety latch protects against lateral bending and the thickened tip of the hook helps prevent handling malpractices and resists bending, therefore delivering an exceptional safety feature when lifting and handling heavy goods. 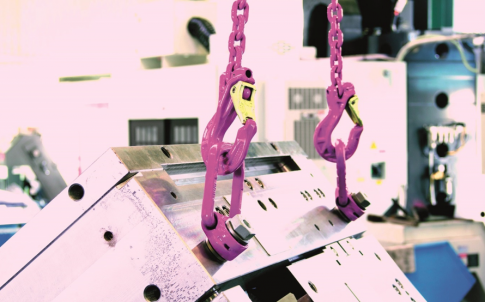 For ultimate safety lifting and handling heavy plant and injection moulding tools, RUD lifting equipment offers the perfect solution. RUD Chains Ltd, part of the RUD Group, is one of the world’s largest manufacturers of round steel chains, producing top quality chain components and systems for over 140 years. They are ISO 9001 certified and are renowned for their expertise in heat treatment methods. 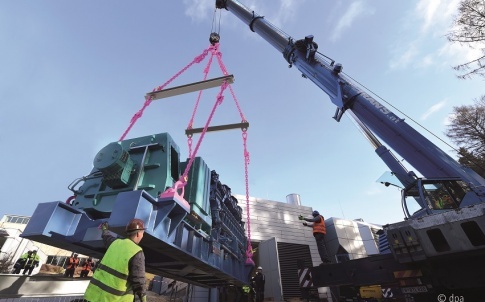 RUD manufactures a range of lifting and lashing applications that guarantee ultimate safety when lifting and moving heavy loads. Offering over 500 different tested and certified lifting/lashing points for bolting and welding which cover a working load capacity range from 0.6 to 200 tonne. They offer standard and bespoke applications to meet even the most demanding project aims and working environments. Their innovative WBPG 85-200 tonne hoist ring, is used for heavy engineering, lifting, across the offshore, construction industry and many more. RUD are a well know manufacturer and supplier for a range of hoist chains used across industries such as offshore to the entertainment industry. 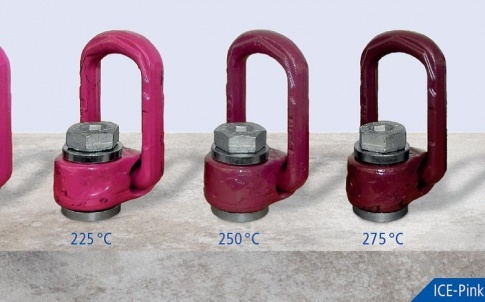 RUD hoist chain can be supplied from the smallest size – 3 x 9 mm up to the world’s largest – 32 x 90 mm. Innovation and product development plays a huge role across the RUD Group. RUD were one of the first manufacturers approved for grade 120 chain, known as ICE 120. RUD ICE 120 chain offers many advantages; offering a high resistance to crack corrosion according to to PAS 1061. 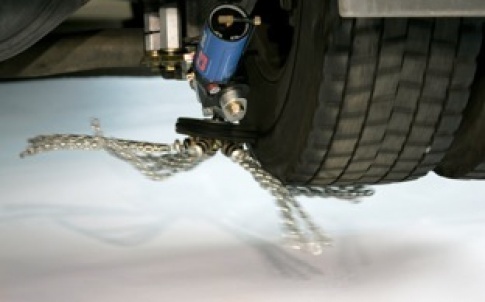 The ICE chain offers a reduction of weight of more than 25% than the larger Grade 80 chain, making it easier to handle, environmentally and health and safety friendly. RUD offers a range of RFID Radio Frequency Identification Technology, being one of the first manufacturers to offer the RFID chips embedded into our applications, helping to ensure an ultimate safety factor in monitoring and managing safe working product effectively. Materials handling plays an important role across a range of RUD products, one of their latest products the Tool-Mover is becoming increasingly popular across plant and injection moulding environments. It offers ultimate safety to your operator, helps reduce costs to potentially damaged tools when handling and safely handles weights from 6.3 – 32 tonnes. The RUD product portfolio is impressive; from conveyor and drive technology for bulk material handling, energy to the maritime industry. They also offer a wide range of Tyre protection chains for quarrying; as well as snow and automatic chains for commercial and emergency vehicles. 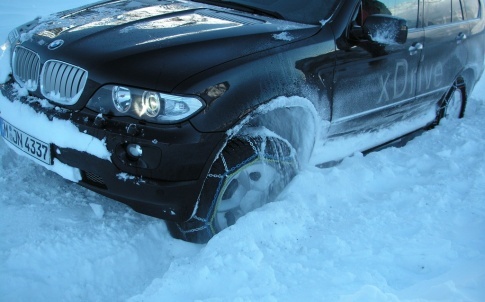 The RUD Group also supply lifting and lashing chains, as well as non-skid traction chains to the MOD. RUD offer standard and bespoke solutions to meet a wide range of project aims and working environments.